The family believes that this commitment is the reason that Hobby Lobby, which began out of the garage, has grown from one 300-square-foot store to one of the nation’s leading arts and crafts retailers with more than 550 stores in 45 states. For information and updates about this important case, and to share your support, please visit http://hobbylobbycase.com. Limiting government means expanding the sphere of the individual. And given recent scandals with the NSA and IRS, the struggle for liberty clearly continues. At Cato University, Kentucky’s Junior Senator Rand Paul addressed the crowd, covering NSA surveillance, the misunderstood Lochner decision and natural rights. Rand Paul puts the Senate in their place!!!! Is Senator Ted Cruz from Texas going to be another Rand Paul? Rand Paul’s plan more popular than Obama’s? I know that you receive 20,000 letters a day and that you actually read 10 of them every day. I really do respect you for trying to get a pulse on what is going on out here. I have a pro-life point of view because I am a Christian and I base my views on an interpretation of the Bible. 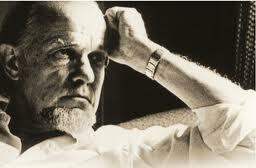 Francis Schaeffer’s teachings probably influenced more in this area more than any other person. In 1979 he teamed up with Dr. C. Everett Koop and put together the film series WHATEVER HAPPENED TO THE HUMAN RACE? and here is the first episode with covers the issue of abortion. Since you are also a Christian Mr. President I thought would take a great interest in what they had to say. What the deist Thomas Paine wrote better describes the measure of Biblical courage– the ability to advance what one reasonably knows is true when doubt weighs heavy and there is seemingly only hopelessness to embrace. To have this courage is essential to a mature Christian faith. It takes courage-to-be a Christian thinker while the world moves in and out of philosophical belief systems. Courage is necessary to face the onslaught of non-Christian worldviews and philosophies that pop-up again and again in everyday conversations. Moreover, because philosophy changes culture like nothing else can, I believe that the courage-to-be Christian in spite of the philosophical pluralism that abounds today is necessary for cultural change. Additionally, one of the ultimate tasks of apologetics is to help remove the intellectual barriers and road blocks that a person has which keeps them from coming face to face with Jesus. At the heart of apologetics is Jesus. Once the struggles of doubt, competing worldviews, and falsities are removed, the soul has nowhere to hide. Light encounters darkness. A decision must be made. Apologetical truth and diplomacy can do nothing efficient at this point because this is where the pure and unadulterated gospel (good news) is timely and poignant. This is the point of conversion or rejection. The soul needs at this moment courage to face the truth of his existential lostness. It is at this moment a person can introspectively turn towards Jesus for healing & the satisfying meaning for his existence or continue to subjectively search for his existential meaning elsewhere. This persistent existential search is comfortable for the rejecting soul and makes sense when one considers the humanistic backdrop of mankind’s history without God. People from the tower of Babel till now subjectively and objectively acknowledge that life apart from an ultimate higher purpose tends towards abstraction and hedonism. So where does that lead one to? – anxiety, despair, loneliness, dread, fear, and hopelessness. So man must have an alternate meaning to live for, a reason for being that is Godless but necessarily courageous. So man tends to get creative and build. Societies, infrastructure, and development begin. Man is in control of his own fate. Man creates meaning for his being. About the middle of the last century, the existentialist movement of Western philosophy was flourishing. Thinkers such as Nietzsche, Jon Paul Sartre, Albert Camus, and others courageously led the dreadful charge into the realms of death, nothingness, and absurdity. Man’s existence was wrought with tragedy, purposelessness, and hopelessness because man is alone in the universe and there is nothing else like him in it. But out of this nothingness and lostness, man creates something and goes somewhere. Existential hope emerges. There can be courage to live another day. Perhaps, in another blog more existentialist points of view can be developed. While some of this train of thought eventually morphed and declined away into other philosophical genres during the latter part of the century, much remains at the heart of our current cultural milieu. Now, interestingly, the writings of Paul Tillich, a notable theologian during the 1950’s who responded to the governing voices of humanist existential thinkers, influenced President Obama. Obama’s book, The Audacity of Hope, is undergirded by the courage-to-be that Tillich resolutely declares is necessary for hopelessness. Hope without courage is unsavory and useless. But more importantly, and I think Obama knows this, hope without truth is dangerous. Although it can lead to powerful optimism, when tried repeatedly, it will fatigue. 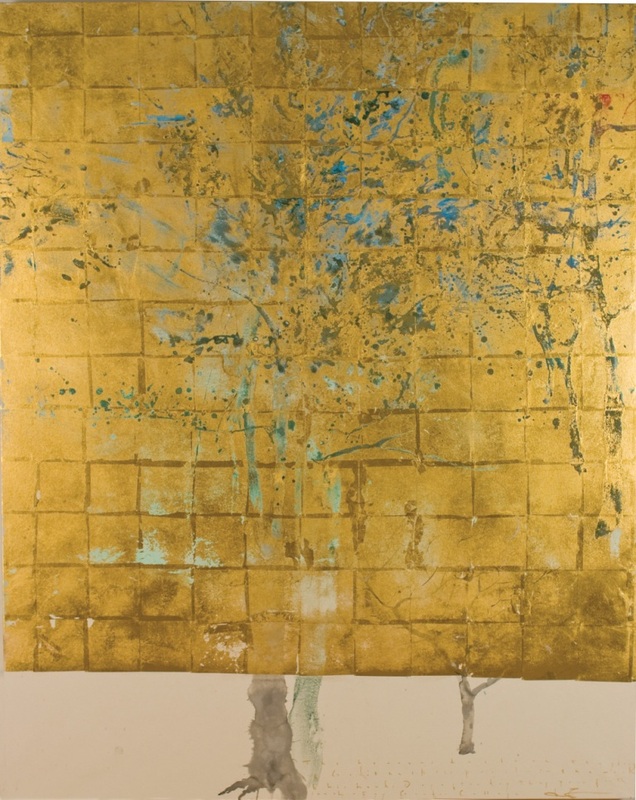 Hope needs substance beyond the subject – a transcendent reality in which hope is grounded. For the soul who rejects Jesus after truths are provided, it is clear that truth is more audacious than Obama’s audacious hope. 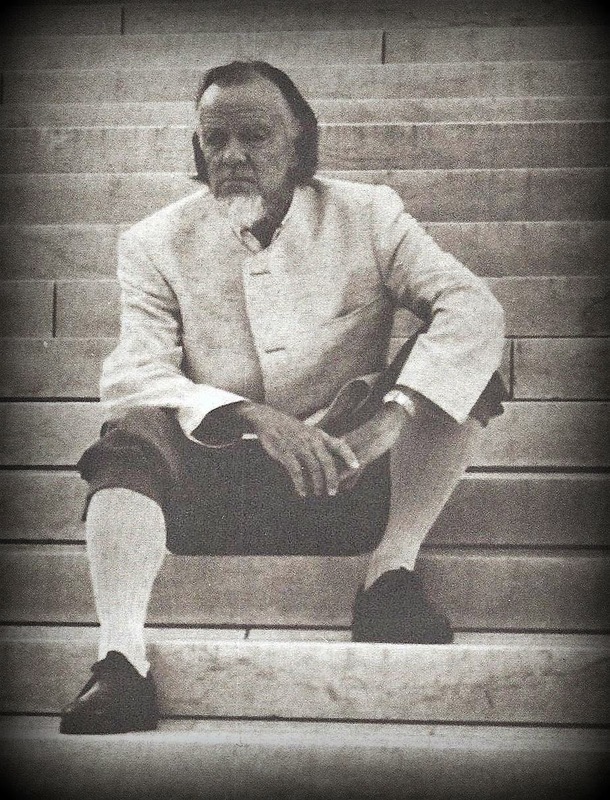 In response to this existential rejection, Francis Schaeffer contended that “Man cannot make his own universe and then live in it.” There is a house bigger and better than the fort in the backyard. The audacious truth is: a habited un-lonely mansion awaits us post-death. Overall, in terms of academic philosophy, existentialism has been tried and found wanting. Most of academia does not interact with it. But how existentialism was so and is still so courageously embraced (sometimes unknowingly) by many average persons and great thinkers alike fascinates me. And this is the point – even secular thinkers displayed great courage to think well and advance their humanist thought, even if that thought has to do with hope in spite of nothingness and creating one’s own existential meaning in the universe. Unfortunately, Christian courage-to-be and think cogently about Christianity is what I find sadly missing from most Western Christians. As so many Christian young people lose their faith due to questions that seem to have no answers, I stagger in disbelief and shake my head in frustration. Moreover, the pervasive decline in general intellectualism by many adult believers is just as surprising. Christians struggle to have any courage-to-be smart in a world pluralized with strange existentialist meanings & worldviews. This is a heartbreaking reality of our present church. Why do most Christians not even know what apologetics is? And where is the Christian courage to advance our hope? For the most part, courage just is appallingly lacking in many Christians. Courage to share one’s faith with a non-believer, courage to face one’s family of origin issues with a professional counselor, or courage to learn some apologetic type truth and exercise those brain muscles is at best dormant in many believers. But the Bible is full of heroes who lived lives with courage. There were many heroes like Moses, David, Gideon, Daniel, Nehemiah, & Paul who experienced and exhibited the power and the boldness of the Holy Spirit. 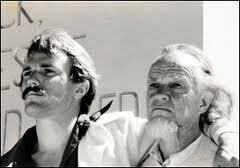 But more importantly, they were not just action heroes, they were people of fortitude and being. They were heroes “who, contrary to hope, in hope believed.” (Romans 4:18) These heroes had what Paul Tillich called the “courage-to-be.” This is a type of courage that is rooted in a reasoned filled faith which allowed them to look into the face of the anxiety and despair to find God’s purpose. It came from “being” in-spite of “non-being” –living in spite of death. The courage I am advocating is that which attacks on offense in spite of life’s failures and fears. I’m reminded of playing quarterback in high school. Because my team was small in numbers, I had to play both offense and defense. Also, because my school had a small student body, in both numbers and size, my offensive line could only amount to an average 5’-5” tall 200 lb each. So needless to say, due to the onslaught of the defense, I scrambled and was sacked often. It forced me to learn the hard way how to have poise in the pocket and see down field to complete a pass when several hungry linebackers wanted to eat a quarterback sandwich. This is the kind of courage-to-be that Tillich is talking about. It’s the ability to look the world of despair straight in the eye and in spite of it, still be. The striking, blinding, and deafening hope of a Christian is that Jesus is the hero of existentialism. He accounted for the anxiety, fear, and despair of the abyss. “He is not a refuge from reality, but a way into its depths.” (Brennan Manning, Abba’s Child) “Death has been swallowed up in Victory?” (1 Cor 15:54) Jesus did as it was prophesied, “He will swallow up death forever. The Sovereign Lord will wipe away the tears from all faces.” (Isaiah 25:8) Deep in the heart of man’s lostness and loneliness, Jesus appears. The courage we need to face the demands of our intellectual drought & the dread of our own existential journey is not elated passion or desperate clinging to Jesus during a trial or tribulation. It’s not the highs that come from an intense worship song or a spiritual retreat. This courage is the existential aliveness, awakening, and awareness of the present risenness of Jesus. Courage that is grounded in His presence and His rock solid systematic theological belief system of truths continually built – plateau over plateau by the illuminating power of the Holy Spirit. Lastly, Christians must be thinkers who stand firm with courage emerging from the inside out. 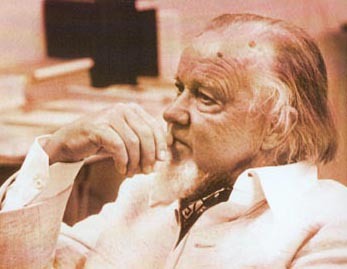 Francis Schaeffer further responded to this cultural drama saying “If it is true that evil is evil, that God hates it to the point of the cross and that there is a moral law fixed in what God is in Himself, then Christians should be the first into the field against what is wrong – including man’s inhumanity to man.” Paul says in 1 Corinthians 16:13 “Be on your guard; stand firm in the faith; be men of courage; be strong.” These are strong words, but we can do it Paul, maybe one day as you did, when you literally did face death for your beliefs. We can have the courage to “fight the good fight” and “contend for the faith” even in spite of fear, anxiety, and despair. By remaining true to Truth and advancing with such courage, the better Hope will last unto death. CNBC interview, March 24, 2003. Michelle: you are the grandfather of school vouchers do you feel victorious? Mr. Friedman: Far from victorious, but very optimistic and hopeful. We are at the beginning of the task because as of the moment vouchers are available to only a very small amount of children. Our goal is to have a system in which every family in the U.S. will be able to choose for itself the school to which its children go we are far from that ultimate result. If we had that a system of free choice we would also have a system of competition, innovation which would change the character of education. You know our educational system is one of the most backwards things in our society in the may we teach people they did 200 years ago there is a person in the front of the room there are children sitting down at the bottom and they are being talked to can you name any other industry in the U.S. which is as technologically backward I can name one and only one..the legislature for the same reason. Both are monopolies the elementary and secondary school system is the single most Socialist industry in the U.S. leaving aside the military, but aside from the military its a major socialist industry, it is centralized and the control comes from the center and the difficulty of having a monopoly in which people cannot choose has been exacerbated by the fact that it has been largely taken over by teachers unions, the national education association and the american federation of teachers and the unions. Understandably I do not blame them but they are interested in the welfare of their members not the welfare of the children and the result is they have introduced a degree of rigidity which makes it impossible to reform the public school system from within. Reform has to come through competition from the outside and the only way you can get competition is by making it possible for parents to have the ability to choose. Mr. Friedman: Very simple, take the extreme the government says we are willing to finance schooling for every child. The government compels children. If you look at the role of government in education there are 3 different levels there is a level of compulsory the government says every child must go to school until such and such and age. That is the equivalent of saying if you are going to drive a car you must have a license. The second stage is funding not only do we require you to have an education but the government is willing to pay for that schooling. That would be equivalent to saying the government is willing to pay for your car that you drive. The third level is running the educational industry that would be the equivalent of the government manufacturing the automobile or to put it in a different image consider food stamps today. Food stamps are funds provided by the government but if that were to be runned like the schools they would say everybody has to use these food stamps at a government grocery and each person with food stamps is assigned to a particular government grocers so the only way you can get your food stamps is by going to that grocer do you think those groceries would be very good? We know what the situation is in schooling people say why now and not 50-75 years ago? Well, when I went to high school t hat was a long time ago in the 1920s there were a 150,000 school districts in the U.S and the population was half what it is now. Today, there are fewer than 15,000 school districts. So it used to be that you really did have competition cause you had small school districts and parents had a good deal of control over those school districts, but increasingly we have shifted to very large school districts, to centralized control, to a system in which the governmental officials in which the educational professionals control it and like every socialist industry it produces a product that is very expensive and of very low quality. Of course it is not uniform there are some very good schools do not misunderstand me, but there are also some very bad ones. Michelle: I interviewed some folks who are against school vouchers and they say that if you really want to help out a school what you should do is provide high quality early childhood education, small classes, small schools, summer school available to children who want it. Put money to those items which they claim would work. Mr. Friedman: They don’t, we have been doing that. The amount of money spent per child adjusted for inflation has something like doubled or tripled over the last 20 years. Twenty years ago we had this report A Nation at Risk that pointed out all of the difficulties I just referred to and which pointed out this was a first generation that was going to be less schooled then its parents. We are now in the next generation and will be even less well schooled. We have had every possible effort you could have from reform from within. It is not just in schools it is in any area reform has to come from outside it has to come from competition. Let me illustrate that from within the school system. the united states from all accounts ranks #1 in higher education people from all over the world regard the United States colleges and universities the best and most varied. On the other hand in every other international comparison we rank near the bottom in elementary and secondary education why the difference?…one word..choice. The elementary and secondary education the school picks the child it picks its customer. In higher education the customer picks its school, you have choice that makes all the difference in the world. It means competition forces product. Look over the rest of the economy is there any area in the u.s. in which progress has not required progress from the outside. Look at the telephone industry when it was broken down into the little bells and opened up the competition it started a period of rapid innovation and development the key word is competition and the question is how can you get competition. only by having the customer choosing. Michelle: There is concern that money is going to religious schools. That the majority of the students in voucher programs that exist use them to attend schools with religious affiliation? Mr. Friedman: Why? Because the vouchers are so small in some cases. 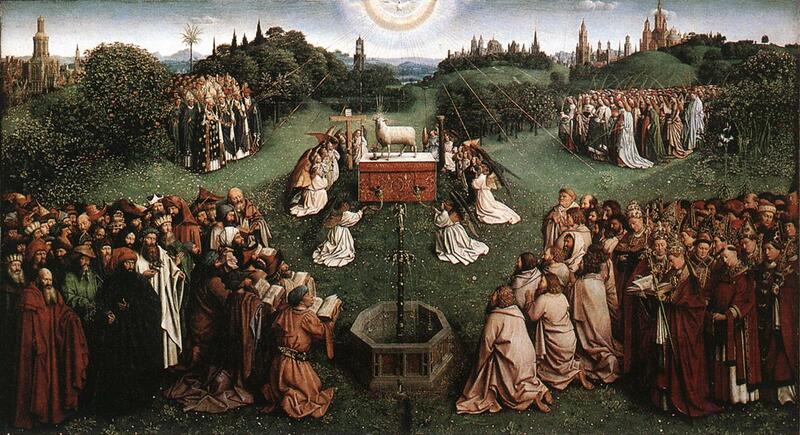 It is true that of the private schools in the u.s the great bulk of them are religious. that is for one simple reason here is someone selling something for nothing somebody down the street is giving away chocolate and you want to get into the business of selling chocolate that is kind of tough isn’t it here at schools children can attend them they are not free they are paying for it in the form of taxes but there is no specific charge for going to that school somebody else is going to offer it. The churches, the religious organizations have had a real advantage in that they were the only ones around who were in a position to subsidize the education and keep the fees down low. If you open it wide the most recent case was Ohio, cleveland case. The voucher that they had had a max value of $2,500 now it is not easy to provide a decent education at $2,500 and make money at it make it pay at the same time the state of Ohio was spending something like over $7,000 per child on schooling if that voucher had been $7,000 instead of $2,500 I have no doubt that there would have been a whole raft of new private, non-profit both profit and non-profit schools. That is what has happened in Milwaukee. Milwaukee has a voucher system and today the fraction of the voucher users in Milwaukee going to religious schools is less than the fraction going to religious schools was before this system started because there have been new schools developed and some of them have been religious but many of them are not. In any event, the Supreme Court has settled that issue they have said that if it is the choice of the parent if there are alternatives available there are government schools, charter schools, private non-denominational schools, private denominational schools so long as the choice is in the hands of the parent that is not a violation of the 1st amendment. Mr. Friedman: I should say. Mr. Bush has always been in favor. He is in favor of free choice. Remember vouchers are a means not an end the purpose of vouchers is to enable parents to have free choice and the purpose of having free choice is to provide competition and allow the educational industry to get out of the 17th century and get into the 21st century and have more innovation and more evolvement. There is no reason why you cannot have the same kind of change in the provision of education as you have had in industries like the computer industry, the television industry and other things. Michelle: Is it refreshing to have a President that, Bill Clinton was firmly against vouchers. Mr. Friedman: No, it is a case of circumstances when he was Governor of Arkansas he was not against vouchers. He was in favor, but when he became President he came out against vouchers. I should say he did not oppose vouchers as Governor and he did as President and that was for political reasons. People don’t recognize how powerful politically the teachers unions are. Something like a quarter of all the delegates at the democratic national convention are from the teachers union. They are probably the most powerful pressure group in the U.S… very large funds, very large number of people and very active politically. Michelle: We talk in the office about how President Bush has some very Friedmanesq ideas. Mr. Friedman: They are not freidmanesq they are just good ideas. I hope that is true anyway. I think very highly of President Bush and I think in these areas don’t misunderstand me that is not a blanket statement there are some things he has done that I disagree with, but taken as a whole he has been moving in the right direction of trying to move toward a smaller more limited government trying to provide more freedom and more initiative in all areas. His philosophy on Medicare is the same as his philosophy in schools. Michelle: Why do you think that is? Mr. Friedman: For obvious reasons, political. It has been to the self interest to the leaders the school system as long as its governmental its a source of power and jobs to hand around and funds to dispose of. If it is privatized that disappears and the other aspect of it is the power of the teachers unions. Right now those of us that are in the upper income classes have freedom of choice for our children in various ways we can decide where to live and we can choose places to live that have good schools or we can afford to pay twice for schooling once by taxes and once by paying tuition at a private school. It seems to me utterly unfair that those opportunities should not be open to everybody at all levels of income. If you had a system the kind I would like to see the government would say we require every child to get a certain number of years of schooling and in order to make that possible we are going to provide for every parent a voucher equal to a certain number of dollars which they can use only for schooling can’t use it for anything else. They can add to it, but they cannot subtract from it. Those will be those can be used in government schools let the government run the school but force them to be in competition so that all government schools charge tuition, but can be paid for by that voucher but that same voucher can also be used in private schools of all kinds and then you would have an open the teachers union complained and they insist they are doing a good job. if they are doing a good job then why are they so afraid of some competition? Why did the Founding Fathers fear giving so much power to a king? When I was young in Elementary School I learned about the separation of powers and the three branches of government and the separation of powers. HOWEVER, RECENTLY WE HAVE SEEN OUR PRESIDENT HAS TAKEN POWERS UNTO HIM THAT ARE CLEARLY NOT GIVEN TO THE EXECUTIVE BRANCH SUCH AS POSTPONING OBAMACARE FOR BUSINESSES WITHOUT THE APPROVAL OF CONGRESS!!! We are not ruled by a king. Why did the Founding Fathers fear giving so much power to a king? What does Jeremiah 17: 9 have to do with the separation of powers between the three branches of government? The Founders’ desire to separate and check governmental power was rooted in the principle in Jeremiah 17:9: “The heart is deceitful above all things and desperately wicked; who can know it?” This verse encapsulated a prominent theological teaching among Puritans, Calvinists, and most other Christian movements and denominations: the “depravity of man”; that is, that the unrestrained heart of man moves naturally toward moral and civil degradation unless directly acted upon by the positive influence of God and religion. Because of this harmful tendency of man (especially when power is placed in his hands), the Founders believed that society would be much safer if all power did not repose in the same authority. Many of the Founders specifically cited this Biblical principle as the source of their reasoning on this aspect of our government. For more on this issue, see the WallBuilders Summer 1996 newsletter. I am glad that Rand Paul is very concerned about the President’s recent “tyrannical” actions and is looking for an solution. (CNSNews.com) – Obamacare is not “fixable,” and the president’s administrative attempts to fix it are “unconstitutional,” Sen. Rand Paul (R-Ky.) told Fox News on Monday. “One of the clear separations of powers was that the legislature was supposed to legislate and the president wasn’t. He’s essentially amended Obamacare maybe 20- some-odd times, and I don’t think he’s allowed to. And so I think it needs to be decided in court,” Paul said. President Obama announced last week that insurance companies may voluntarily continue selling policies that don’t meet the standards set by the law. Earlier, he bypassed Congress by suspending Obamacare’s employer mandate for one year. Paul said he keeps asking constitutional lawyers, “how do we get standing to adjudicate” the question of executive branch overreach. “Most of them say it’s very difficult, if not impossible,” Paul said. The Hill newspaper reported on Tuesday that other Republicans also are looking at ways to curb President Obama’s use of executive power to bypass various laws, ranging from health care to immigration to intervention in Libya and (almost) Syria. “I know there’s a lot of discussion about the validity of the president just unilaterally changing the law. … There are a lot of us that are very concerned about it,” Rep. Jason Chaffetz (R-Utah) said in an interview with The Hill. Franks said he thinks Republicans should challenge Obama’s administrative actions in court. He said although Republicans have been talking about it, they are still not clear on what they’re going to do. You can not stimulate the economy by spending more money. The only way you can is by cutting spending and cutting tax rates on the job creators. The stimulus program was a failure here in America and you should have known better than to try that. You should have been a better student of history like Margaret Thatcher was. According to the Oxford English Dictionary, a factoid is “an item of unreliable information that is reported and repeated so often that it becomes accepted as fact.” The standard Keynesian fiscal policy prescription for the maintenance of non-inflationary full employment is a fiscal factoid. The chattering classes can repeat this factoid on cue: to stimulate the economy, expand the government’s deficit (or shrink its surplus); and to rein in an overheated economy, shrink the government’s deficit (or expand its surplus). Even the economic oracles embrace the fiscal factoid. That, of course, is one reason that the Keynesians’ fiscal mantra has become a factoid. No less than Nobelist Paul Krugman repeats it ad nauseam. Now, the new secretary of the treasury, Jack Lew (who claims no economic expertise), is in Europe peddling the fiscal factoid. Unfortunately, the grim reaper finally caught up with Margaret Thatcher—but not before she laid waste to 364 wrong-headed British Keynesians. Mrs. Thatcher was quickly vindicated. No sooner had the 364 affixed their signatures to that letter than the economy boomed. Confidence in the British economy was restored, and Mrs. Thatcher was able to introduce a long series of deep, free-market reforms. As for the 364 economists (who included seventy-six present or past professors, a majority of the Chief Economic Advisors to the Government in the post-WWII period, and the president, as well as nine present or past vice-presidents, and the secretary general of the Royal Economic Society), they were not only wrong, but also came to look ridiculous. In the United States, the peddlers of the fiscal factoid have never suffered the intellectual humiliation of their British counterparts. In consequence, American Keynesians can continue to peddle snake oil with reckless abandon and continue to influence policy in Washington, D.C., and elsewhere. People often ask why I put so much political humor on this site. The easy answer is that I like a good joke. But I also find that some cartoons and jokes do a very good job of helping people understand economics. I’ve always liked this cartoon, for instance, because it cleverly illustrates the impact of government handouts on the labor market. And looking at that cartoon is a lot quicker than taking a class about labor economics. Well, you can also skip the class about public finance. 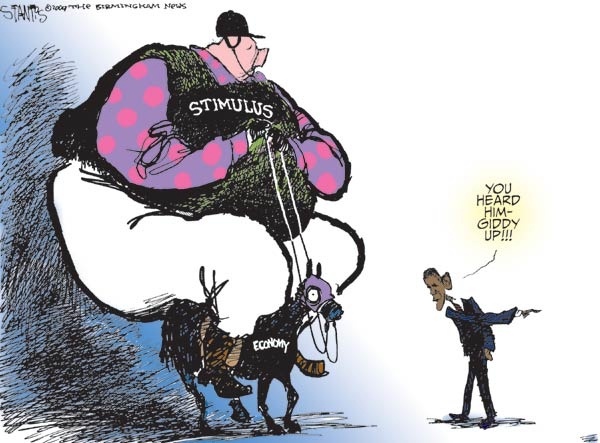 Here’s a cartoon that shows the economic burden of government “stimulus” spending. Very funny and very intellectually sound. Indeed, the only thing that would have made the cartoon even better would have been showing that the jockey became bloated by eating the horse’s food. But I reckon it’s not easy making multiple points with one picture. Anyhow, I’m disappointed that I didn’t notice it at Reason.com a couple of years ago when the debate on the faux stimulus was taking place. It probably would have helped more people understand that you don’t boost economic performance by draining resources from the productive sector of the economy to finance a larger government. By the way, if you want to understand in greater detail why the cartoon is accurate, this video on Keynesian economics is helpful, as is this video explaining the failure of Obama’s $1 trillion boondoggle. I have written my Congressmen and Senators over and over about the debt ceiling increase requests by President Obama and I have urged them to turn them down. This video below shows why I wanted them turned down. I want to thank you for taking the time out of your busy day to respond to my earlier letter to you on this same subject. Please take the time to read Mo Brooks’ words and respond to me and tell me if you will vote against the debt ceiling increase. It is the only leverage we have on President Obama. Others have responded to me in the past including you and for that I am very grateful. Rand Paul’s Penny Plan will balance budget sooner than you think!!! Fifteen days out from Christmas, Washington is certainly doing nothing to make sure the American people have the best Christmas present of all – fiscal responsibility and tax reform. This is not because there is a dearth of ideas. Over the last two years, a number of strong proposals have been put forth that would cut spending and reform the tax code. Others would focus on improving the economy, which would help close the deficit with increased tax revenue. Over the next 12 days, Tea Party Patriots will be highlighting one plan every day that actually aims to address the federal deficit. The first plan we will highlight is one introduced in 2011 by Rep. Connie Mack (R-FL) and Senator Mike Enzi (R-WY) and backed by over 80 Members of Congress, including Senator Rand Paul (R-KY): the Penny Plan. The One Percent Spending Reduction Act of 2011 embodies the principles of the One Cent Solution. Also known as the “Penny Plan” on Capitol Hill, this legislation was introduced by Congressman Connie Mack (R-FL) and Senator Mike Enzi (R-WY) and is currently supported by 71 Members of the House and 13 Members of the Senate. Visit our current legislation page to view the list. The “Penny Plan” legislation would cap overall spending to fit within the One Cent Solution targets. The legislation then calls on Congress to evaluate all areas of the federal government to make certain that future spending fits under the caps. Under the One Cent Solution or “Penny Plan”, not all programs must be cut by one percent. Congress may determine that some programs are too critical to cut, but that would require that other programs be reduced more so that the total amount cut is equal to one cent for every dollar each year for six years. For example, let’s say the federal budget only had three programs, each with an annual budget of $1.00. How might Congress meet the One Cent mandate? Congress cuts Program A by one cent every year for six years. That means the annual budget for Program A is $0.99 in year one and then $0.98, $0.97, $0.96, $0.95 and finally $0.94. Program B is found to be essential and efficient — Congress chooses not to cut Program B. Program C is outdated and needs to be restructured — Congress cuts two cents each year for six years from Program C.
In this example, Congress is able to make program-by-program decisions to bring spending within the One Cent Solution caps. If Congress fails to make those tough decisions, then automatic, across-the-board cuts would be imposed to make sure the caps were enforced. The One Cent Solution is a “belt and suspenders” approach to making certain spending is brought under control and the budget is balanced. The advantage of the Penny Plan is that it cuts directly from the budget as it exists, instead of cutting from the baseline, e.g. expected future spending. So a cut is actually a cut, not merely a reduction in expected spending. It also caps non-interest spending at 18% of Gross Domestic Product, which is necessary in order to keep spending from exploding. No plan is perfect, and the Penny Plan will require additional cuts in order to compensate for growing interest rate payments, but the basics are there, ready for anyone in Washington to pick up and run with. Instead, of course, both parties are talking about how much more of your money to take and spend. Do you have a right to other people’s money? If it takes you a few seconds to think about the answer then you are a socialist!!! Statists, by contrast, believe in “positive liberty.” This means that you have a “right” to things that the government will give you. Which means, of course, that the government has an obligation to take things from somebody else. How else, after all, will the government satisfy your supposed right to a job, education, healthcare, housing, etc. Big government means overpaid bureaucrats who loaf and it encourages dishonesty!!!! Making America more like France will not help the poor in the USA!!!! Big Government cronyism lines the pockets of dishonest companies!!! !